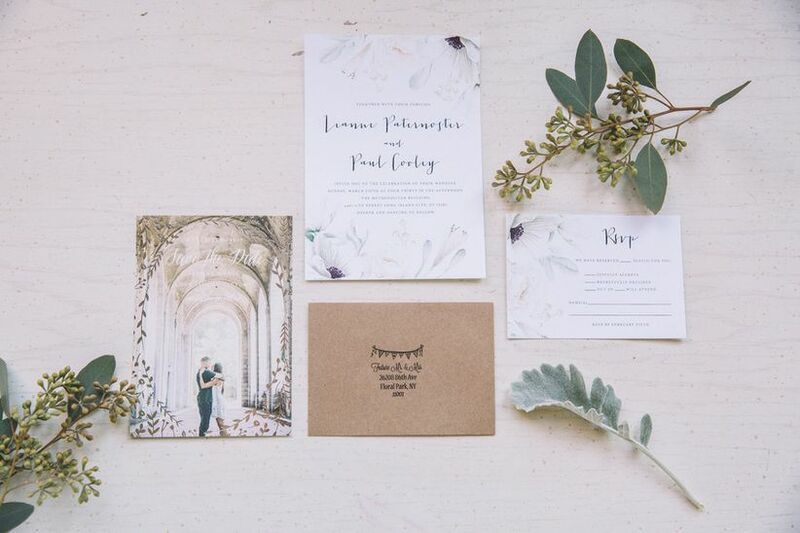 Wedding invitations are the proverbial handshake for your upcoming festivities, and they immediately help set the tone and expectations for your guests. 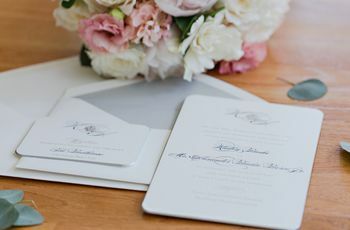 The right wedding invitation style will incorporate your wedding aesthetic while still conveying the important details. There are so many styles to choose from, though, so allow your astrological sign to guide you toward the best fit. 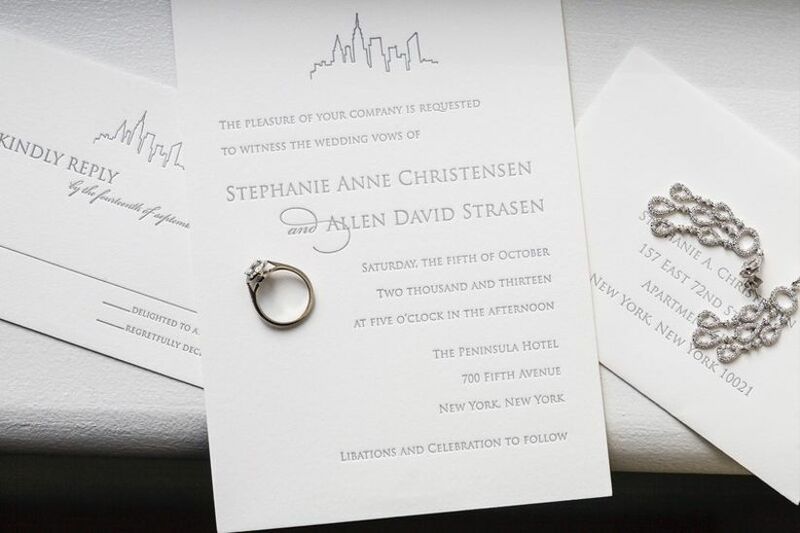 Find your zodiac sign to see which wedding invitation style is right for you. 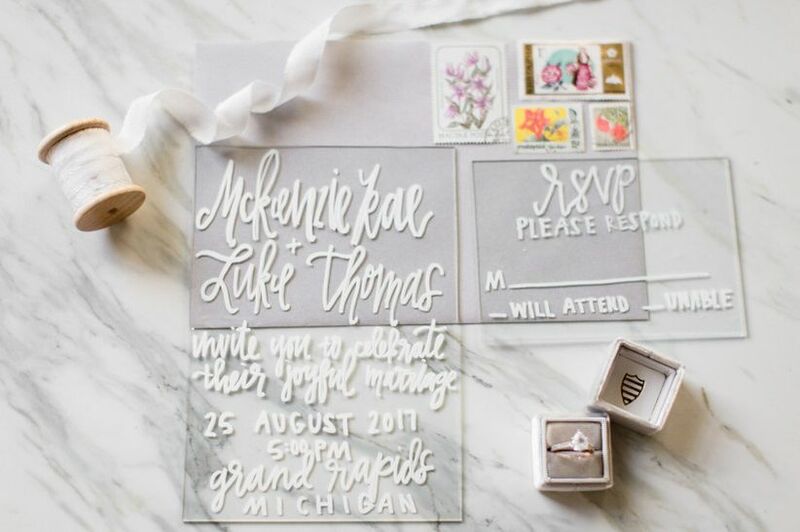 Arty Aries, you’ll love a modern acrylic wedding invitation style. 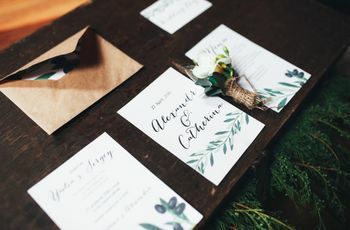 Not only will the next-level shunning of paper really get your creative brain working, but you’ll love the challenge of adapting this style to your wedding aesthetic. You can be accused of being a bit too consistent, Taurus, but it’s really your constant striving for stability and personal harmony. 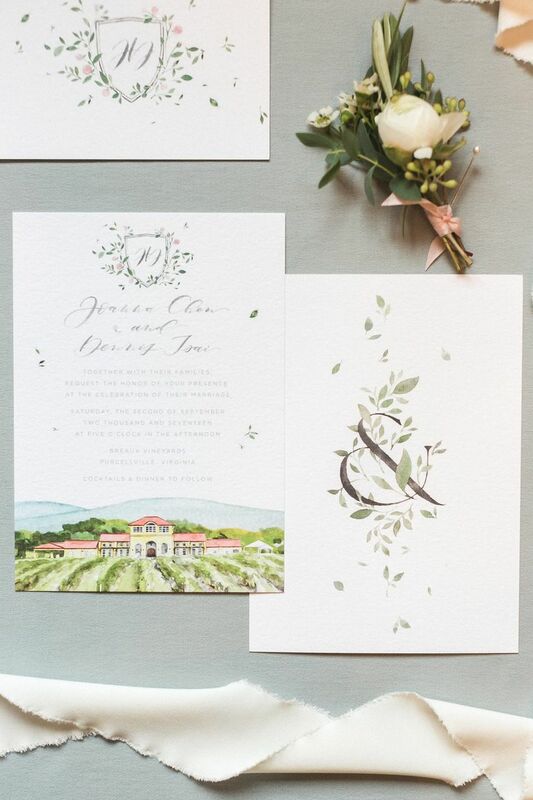 Marriage was always a non-negotiable item on your to-do list, so you’ll be really drawn to an interlocking monogram to represent your new family. Sometimes misunderstood as two-sided, as a Gemini, you know that you’re really always seeking balance. Go for a simple, but elegant garland wreath design to represent the fair and complete nature of your marriage. 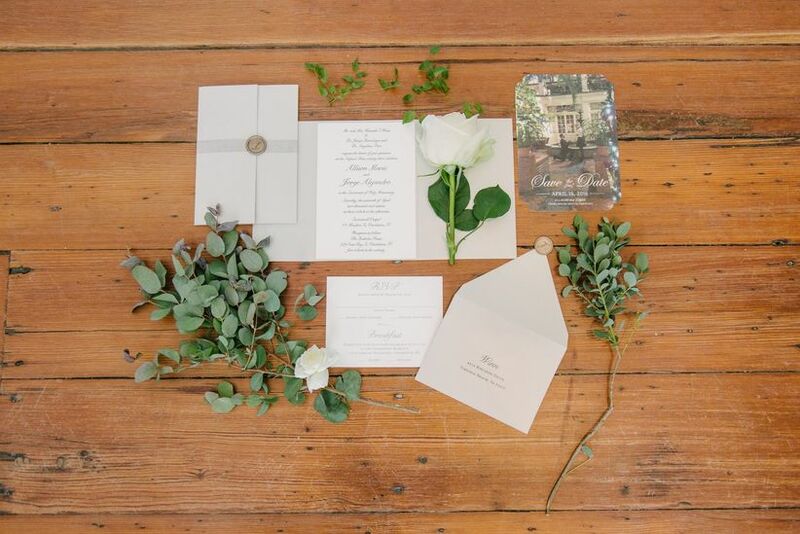 Your home is truly your hearth, Cancer, so you’ll love a simple wedding invitation style that allows you to show off a letterpress design of your hometown or home state. 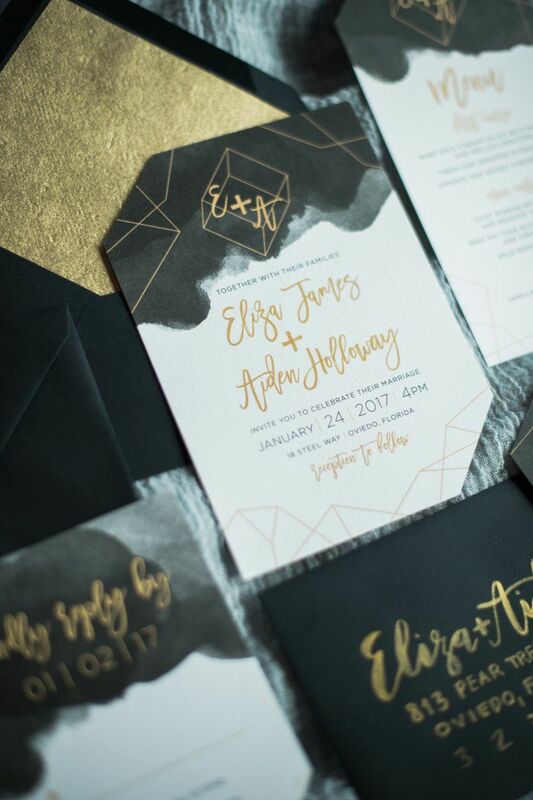 It’s a good for thing for you, Leo, that metallics are still hot off the presses for wedding invitation styles. This mix of traditional calligraphy with gold lettering will really speak to your sun-ruled sign. 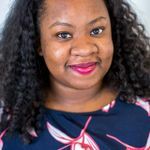 Perfectionist Virgo may be most known for her punishing commitment to high standards, but she’s also the zodiac’s maiden archetype. 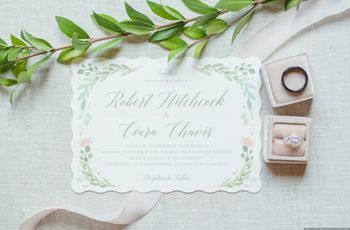 Exalted by romance, love, and family, true Virgos will love this modern take on wedding pastels. Balanced and artful Libra, you’ll delight your Venus-infused need for beauty with intricate floral blooms. 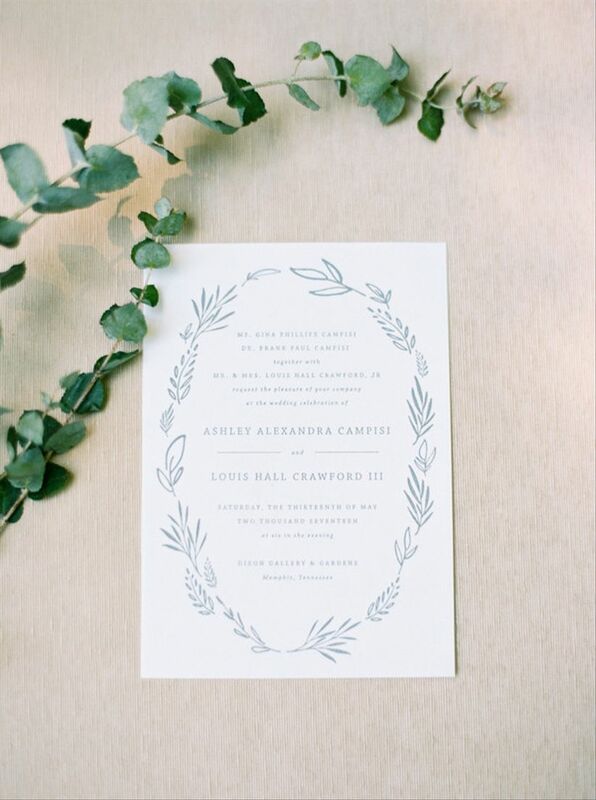 This wedding invitation style is ideal for your understated by oh-so-lovely celebration to come. 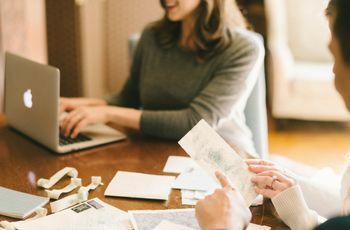 As a a Scorpio, your super private, so you’ll likely be treating a smaller guest list to a luxurious experience. 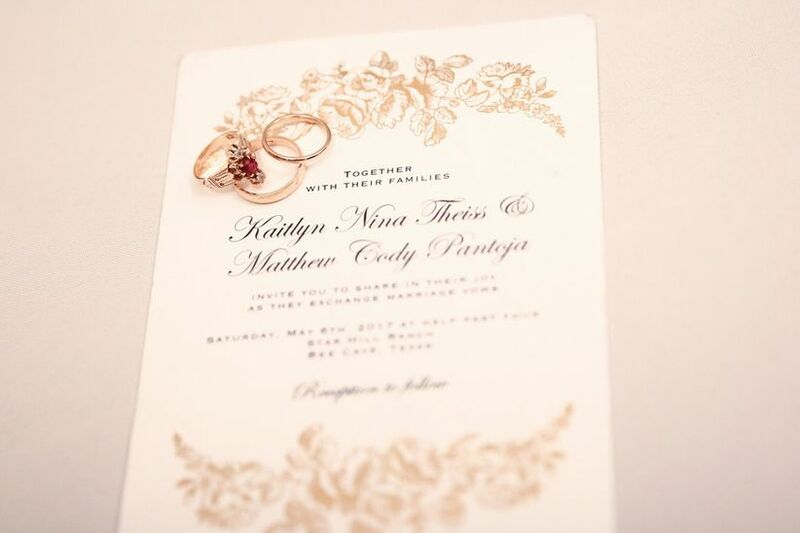 Rich gold blooms are the perfect wedding invitation style for what’s sure to be an A-list party. 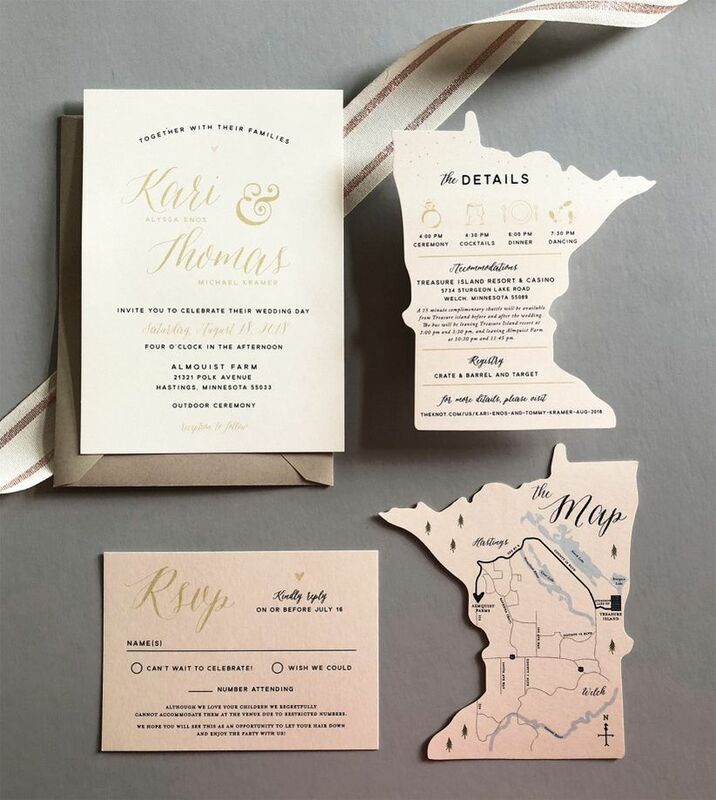 Bold and adventurous Sag, you’ll love that one of the wedding invitation style trends includes die cut maps reflecting states and countries that are important to the couple. You’ll definitely want to highlight one of your meaningful travel journeys in your map design. 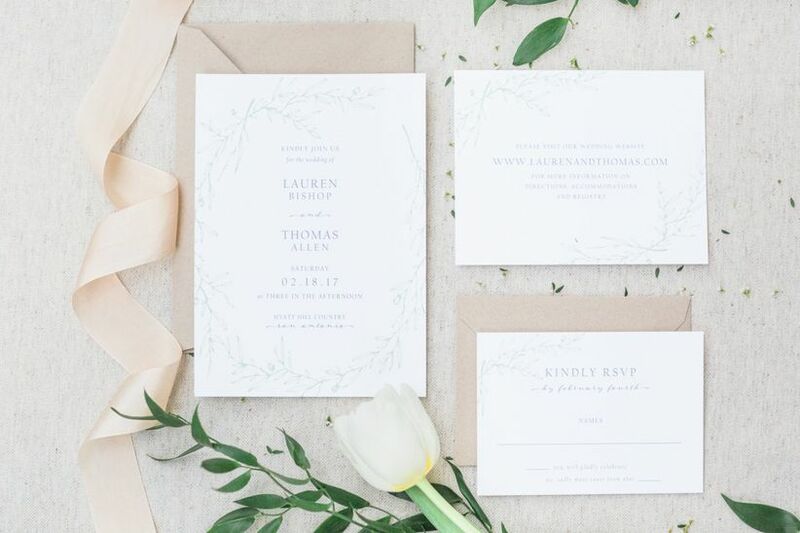 Straight-laced Capricorn, your wedding invitation style will mimic your wedding color palette with minimalist white as the base and hints of grey. 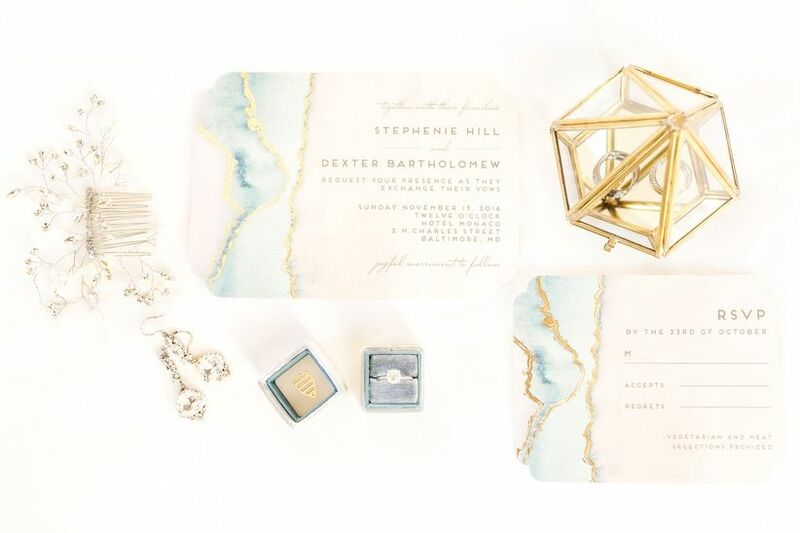 Shape-shifting Aquarius, you’ll love that natural geodes are a popular design inspiration for modern weddings. 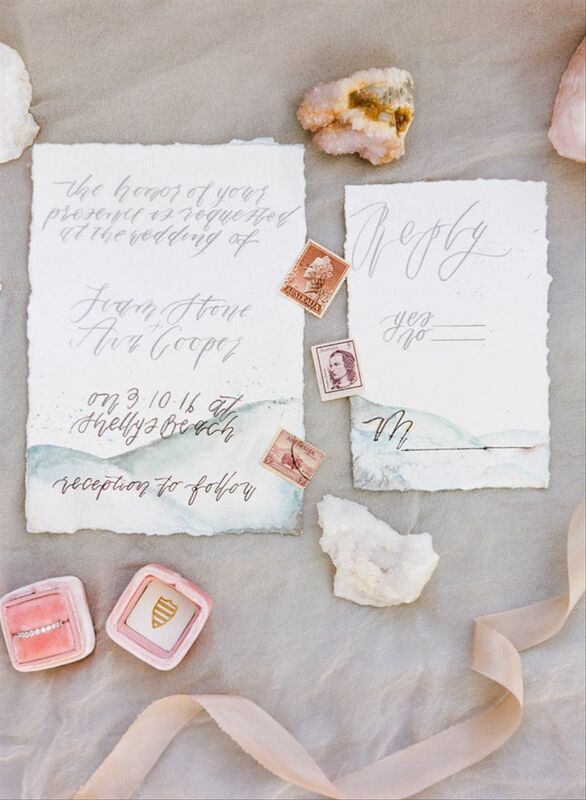 Go for a wedding invitation style that embraces your many-sided nature with hippie geode details. 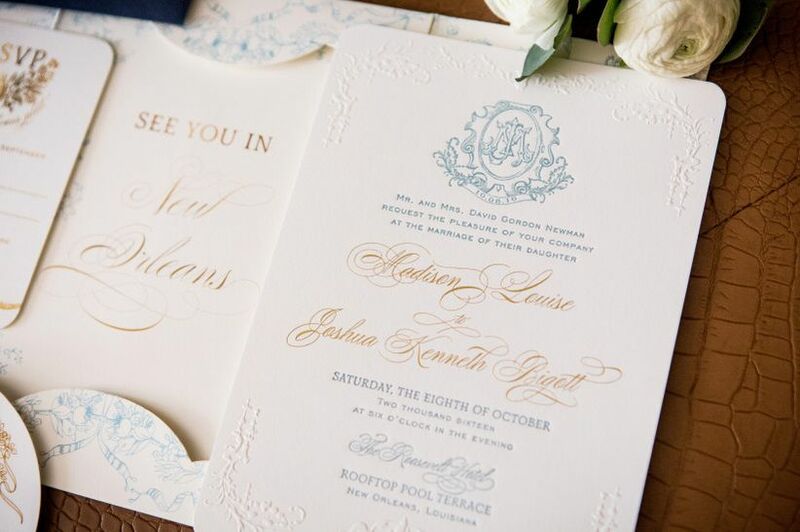 Romantic Pisces, your wedding invitation style is all about bringing guests into your sweet, dreamy romance. Go for watercolor details that evoke the sea, your natural habitat.